I became a full time Technology Integration Specialist in 2013 . I was a high school teacher and ﻿Business Professionals of America﻿ advisor from 2001-2015. I was able to start my career in my home town of Libby, MT and am proud to say I am a Logger, I also spent a decade at Billings West High. Degrees have been earned from the University of Idaho in psychology, psychology education and business education. In December of 2008 I earned my National Board Certification in Career and Technical Education, and recently achieved renewal. 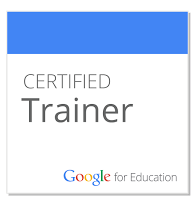 In 2014 I became a Google Certified Educator (now called Innovator), authorized Google Education Trainer, Nearpod Certified Trainer (now called Pionear) and Author. I believe financial & technology literacy is essential to well being and I was a Master Educator for Take Charge Today (formally FEFE) from 2007 to 2014. I've been lucky to earn some honors along the way including Montana Business Teacher of the Year (2012), Montana Association of Career and Technical Teacher of the Year (2013) and Montana State Finalist for Teacher of the Year (2016). I'm an Advisory Board member of Teaching Partners, serve as on the executive board of the Montana Teachers of the Year. 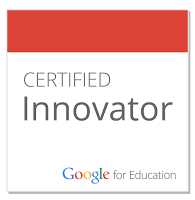 Recently I become a Google Certified Innovator Mentor, a PBS Learning Media Digital Innovator and awarded the BEA Teacher of the Year award. This past summer I become a state facilitator for Code.org Discoveries. I'm in my 4th year as a state facilitator for candidates working towards their National Board Certification and a state coach for the Teacher Leadership Institute that is sponsored by NEA, CTQ and NBPTS. I've been fortunate to have so many amazing education mentors as well as nearly two decades of experience. Beyond my education duties I love spending time with family in the amazing Montana outdoors.